-Beautiful and consoling stories of the Infant Jesus for the Christmas season! Many of us have seen the holy cards or statues of Saints such as St Anthony and the young St Stanislaus Kostka for example, tenderly cradling the baby Jesus in their arms—but are we familiar with the beautiful true stories behind these depictions? Some may be surprised to know that in fact many Saints and holy persons over the centuries have reported seeing the Child Jesus in visions, and what is even more consoling are the beautiful messages our Lord and the Blessed Virgin Mary chose to convey during these heavenly appearances. In addition, a good number of Saints have actually held the Infant Jesus in their arms during their visions- a heavenly grace which quite understandably brought them an almost inconceivable joy. So let us now explore some of these heartwarming stories. 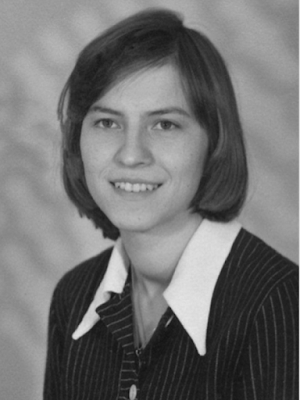 One day, Rose announced to her mother that she knew how to read and write. She told her mother that it was the Child Jesus who had taught her. 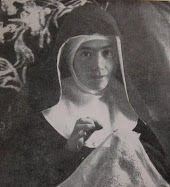 Her mother was in disbelief but nevertheless Rose proved to her mother that she knew how to read by reading from a book about St. Catherine of Siena. Just as Rose had said it was the Little Child Jesus who worked a wonderful miracle by teaching Rose Himself how to read and write, proving that with faith in God, everything is possible. "See, oh see how I love Thee! Towards the end of her short life—for Jesus called Rose to heaven at age 31—she received yet another great grace from the Child Jesus. 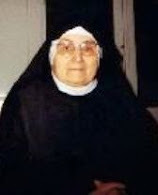 She, like a handful of other Saintly woman over the centuries, was to be espoused to the King of Eternal Glory even while still living in this vale of sorrow. 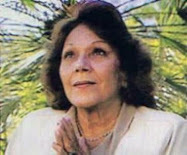 The great day of her mystical betrothal to the God of Heaven and earth was on Palm Sunday a few years before her death. 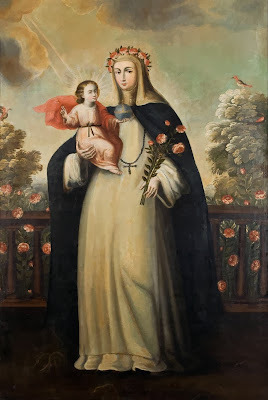 On that day Rose, who was a member of the Third Order of St Dominic, was with the other Tertiaries the Church of Santo Domingo assisting at the solemn services. The sacristan distributed the waving palm branches, but somehow missed Rose. When the procession had formed, the saintly maiden took her usual place and modestly accompanied the others, humbling herself before God and accusing herself of having too eagerly desired the palm branch. So when she came before the miraculous statue of the Queen of the Rosary she begged for pardon. Then the figure of the Blessed Virgin Mary with Child became animated and smiled upon the humble Rose. 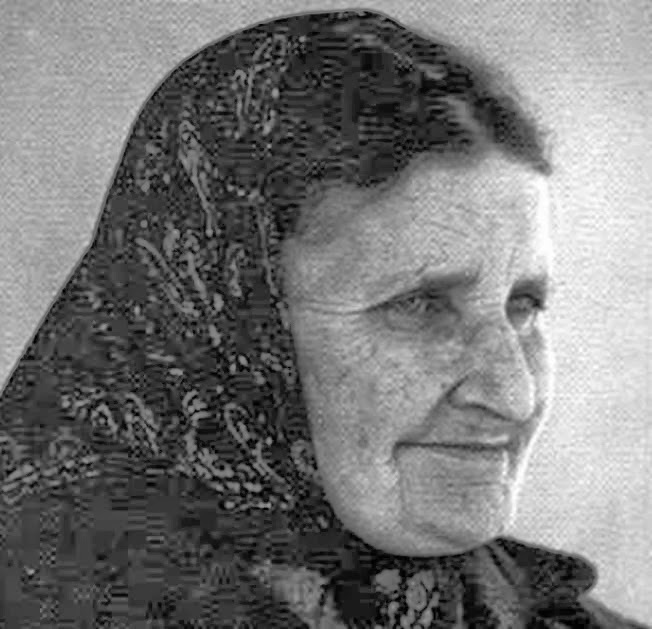 With a heart over-flowing with love and tender gratitude, and overwhelmed by a realization of the greatness of the favor and of her own unworthiness, she humbly bowed her head, giving vent in tears of thankfulness to the great joy that came over her, while she promised eternal fidelity to her beloved Jesus. 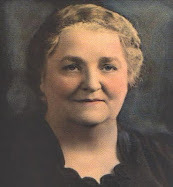 Marie Rose Ferron, affectionately known as “Little Rose”, grew up in Massachusetts and later moved to Rhode Island. 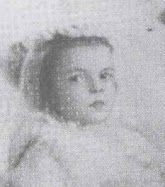 At the age of six, Marie Rose had already had a vision of the Child Jesus. 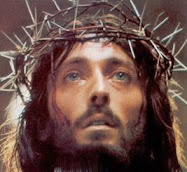 "I saw Him with a cross," she said, "and He was looking at me with sadness in His eyes." Seeing this vision, she knew deep in her heart that the Child Jesus wanted her to help Him carry His cross. From that day forward, Marie Rose offered all of her sacrifices and sufferings in union with Jesus. 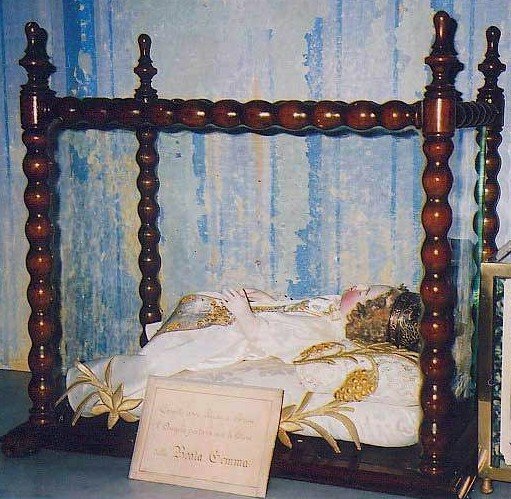 Years after this vision, someone kindly gave Marie Rose a statue of the Child Jesus carrying a Cross and upon seeing it her heart leapt with joy. Soon afterwards she said to one of her spiritual directors named Father Leonard: "Have you noticed the statue of the Child Jesus carrying his cross?" And pointing to the statue of the Child Jesus carrying a Cross: “I see Him often as he is here represented. I speak to Him and He speaks to me; this statue however, is but a poor representation of what I actually see." 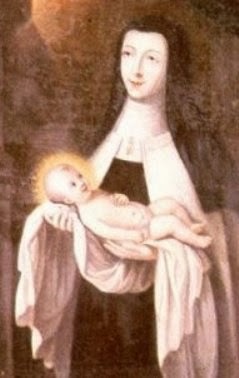 St. Teresa of Jesus (Teresa of Avila) often meditated upon the great humility of Jesus in His Incarnation, and she always traveled with her statue of the Infant Jesus when she was establishing new convents. 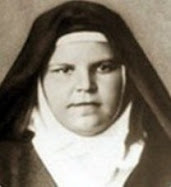 She is believed to be responsible for an increased devotion to the Child Jesus in Spain during and after her holy lifetime. 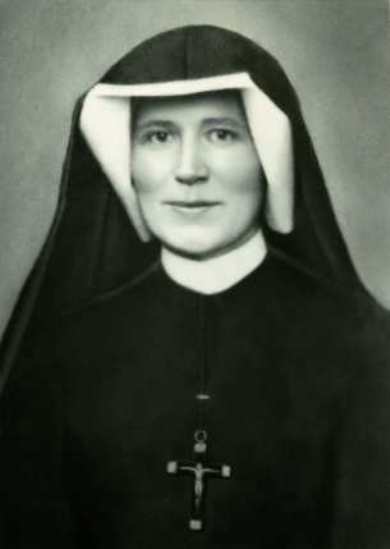 Her devotion to the Infant Jesus was established after a very edifying incident. 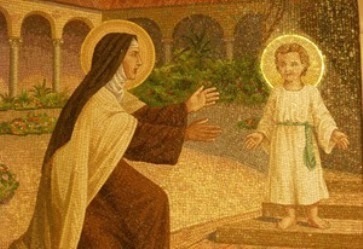 One day Teresa of Avila was coming down the steps of her convent when she saw a beautiful young boy. The Child spoke to her and said: "Who are you?" So Teresa answered: "I am Teresa of Jesus and who are you?" The Child answered with a play of words: "I am Jesus of Teresa!" and then He disappeared. But He would appear to her many, many times afterwards, but mostly as the suffering Jesus (in His adult manhood) to encourage her to sacrifice and suffer in union with Him on the Cross for the conversion of sinners. Count Tiso who had a castle about 11 miles from Padua, Italy. On the grounds of the castle the count had provided a chapel and a hermitage for the friars. Anthony often went there toward the end of his life and spent time praying in one of the hermit cells. One night, his little cell suddenly filled up with light. Jesus appeared to Anthony in the form of a tiny child. Passing by the hermitage, the count saw the light shining from the room and St. Anthony holding and communicating with the infant. The count fell to his knees upon seeing this wondrous sight. And when the vision ended, Anthony saw the count kneeling at the open door. Anthony begged Count Tiso not to reveal what he had seen until after his death. "...I suddenly saw the Infant Jesus standing by my kneeler and holding on to it with His two little hands. Although He was but a little Child, my soul was filled with awe and fear, for I see in Him my Judge, my Lord, and my Creator, before whose holiness the Angels tremble. At the same time, my soul was flooded with such unspeakable love that I thought I would die under its influence (Diary, 566). ".. I saw the Infant Jesus near my kneeler. He appeared to be about one year old, and He asked me to take Him in my arms. When I did take Him in my arms, He cuddled up close to my bosom and said, "It is good for Me to be close to your heart. ... Because I want to teach you spiritual childhood. I want you to be very little, because when you are little, I carry you close to My Heart, just as you are holding Me close to your heart right now" (Diary, 1481). "When I arrived at Midnight Mass, from the very beginning I steeped myself in deep recollection, during which time I saw the stable of Bethlehem filled with great radiance. The Blessed Virgin, all lost in the deepest of love, was wrapping Jesus in swaddling clothes, but Saint Joseph was still asleep. Only after the Mother of God put Jesus in the manger did the light of God awaken Joseph, who also prayed. But after a while, I was left alone with the Infant Jesus who stretched out His little hands to me, and I understood that I was to take Him in my arms. Jesus pressed His head against my heart and gave me to know, by His profound gaze, how good He found it to be next to my heart." (Diary of St. Faustina, 1442). St Gemma's child Jesus shrine- Gemma would place her letters to her priest-spiritual director beneath this shrine and her guardian Angel would take the letters and deliver them, placing them atop his desk in Rome, some 225 miles away. "This dear daughter of mine you must regard as a daughter of My Passion”. 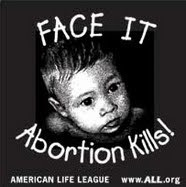 Father, my heart still continues its violent palpitations." "Monsignor,Yesterday evening in the usual hour of vigil, a curious thing happened to me: scarcely had I begun to make it [the holy hour] then suddenly my head took off and I seemed to have in my arms a beautiful child of three; He kissed me and caressed me and asked me whether I knew Him and whether I loved Him. I embraced Him ardently and told Him that I loved Him very much. He told me that if I wished to be all His that He would espouse me. 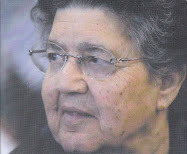 I was very happy....."
In order to obey Father Gaetano, I must tell you something which happened to me a few days ago. One evening while I was writing, I heard my name called. I turned and saw a Lady with a Child in her arms. She held the Baby out to me and I took Him. 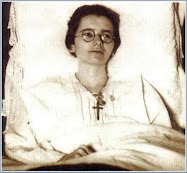 Then the Lady said to me, "You, daughter, have received your health back, and therefore, I wish that you serve my Son in the Passionist Order." 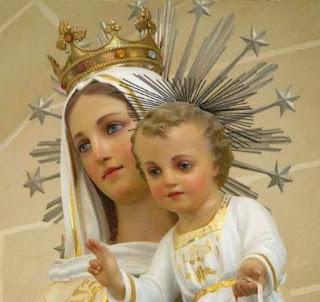 Having said these words, She took the Child, blessed me, looked at me, and then when She had taken some steps, turned to me again and said: "You are to tell your Confessor that what he has refused to you, he must not refuse to Me, because I am the Queen of Heaven. 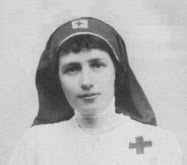 I have asked you to join the Company of Passionists, and you should do what I have asked of you." Then, after She had said these words the Lady went away. After this I did nothing but weep all night, because I have no one willing to help me in this matter. I feel, however, now, that since the Madonna has commanded me, she is going to help me. I have made a resolution to go to the convent on my own responsibility. The Most Holy Virgin will sustain me. I could go away just as I am, without any preparation. I will be glad to make any sacrifice to enter the Passionists. For this is a command from the Madonna and I ought to obey. -Those interested in reading about St Gemma's Child Jesus shrine and the miraculous angelic letter deliveries can read more here. On one August 15th, that is, the night of the Feast of the Assumption, the Blessed Virgin Mary appeared to her holding the Child Jesus. She encouraged Agnes to continue suffering for the love of Christ – as she had been sick practically all of her holy life. 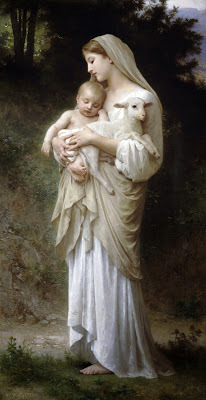 In the vision, the Mother of God gave St Agnes the infant Jesus to hold, and as she cradled our Lord, she noticed that the Christ Child wore a small golden crucifix; when she woke from her ecstasy she found that she was holding the small gold crucifix which the Christ child had been wearing in the vision. -St. Nicholas of Tolentino (1245-1305, Wonder worker) was devoted to rigorous practices of fasting and abstinence, as well as long periods of the day devoted to praying with others and private prayer. He believed in the power of prayer and sacrifice especially for the souls in Purgatory. At times, Nicholas devoted himself to prayer and works of penance with such intensity that it was necessary for his superiors to impose limitations on him. At one point he was so weakened though fasting that he was encouraged in a vision of Mary and the child Jesus to eat a piece of bread signed with the cross and soaked in water to regain his strength. Thereafter he followed this practice in ministering to the sick himself. In his honor the custom of blessing and distributing the "Bread of Saint Nicholas" in continued by the Augustinians in many places today. 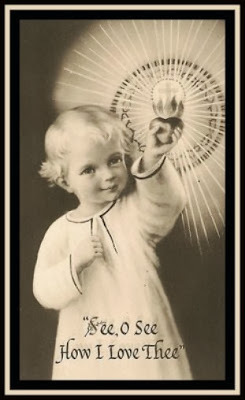 -Anne Catherine Emmerich (1774-1824, Mystic & Stigmatic) had many visions of the Child Jesus. In one in particular He offered her two crowns—one of thorns and the other of roses. She immediately chose the one of thorns so as to be like her Jesus. -Osanna of Mantua, Italy (1449-1505,Mystic & Stigmatic) at age 5 had a vision of the Child Jesus who appeared to be about the same age as her--He was carrying a cross, looking at her and smiling kindly. 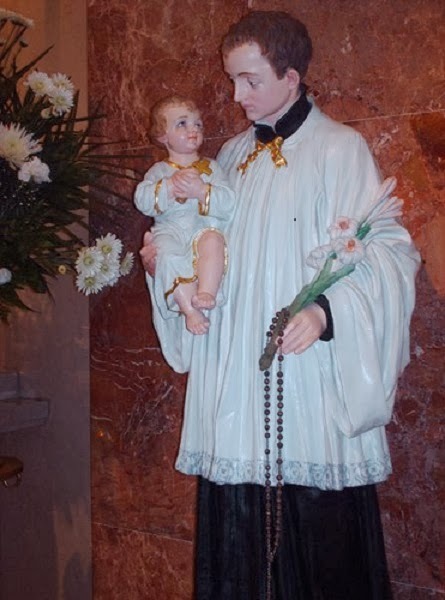 -St. Gerard Majella (1726-1755) Once as a young child Gerard was praying before a statue of the Blessed Virgin of Mary in the Church. Suddenly, the Child Jesus came alive in His Mother’s arms and gave St. Gerard a piece of bread to eat. The bread emitted a heavenly fragrance. St. Gerard would often share this story with others, with the greatest naturalness, as if these miraculous events happened to everyone else in the world. 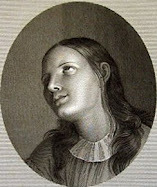 This mission, therefore, was to be the grand, unique occupation of Margaret's life; and her entire existence was to love and honor Jesus' infancy and childhood. Following these directives, Margaret, beginning on March 24, 1636 founded together the “Household and Associates of the Child Jesus” which together formed the “Family of the Child Jesus”. The associates were to celebrate the 25th of every month in memory of the Annunciation and of the Nativity, every day to recite the abbreviated rosary, called «the rosary, of the Holy Child», along with meditating on the birth of Jesus. 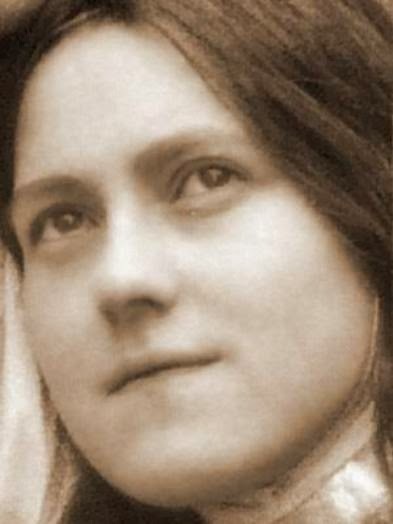 The great devotion spread throughout the countryside of France, and was soon approved by the Pope, and was later instrumental in the spirituality of the great 20th century Doctor of the Church, the fellow Carmelite, St Therese of the Child Jesus. St. Stanislaus Kostka (1550-1568) St Stanislaus was born in Poland in 1550. His father was a Polish senator and his family was a part of the Polish nobility. As a child and later as a teenager, young Stanislaus was very devoted to his studies and to prayer. 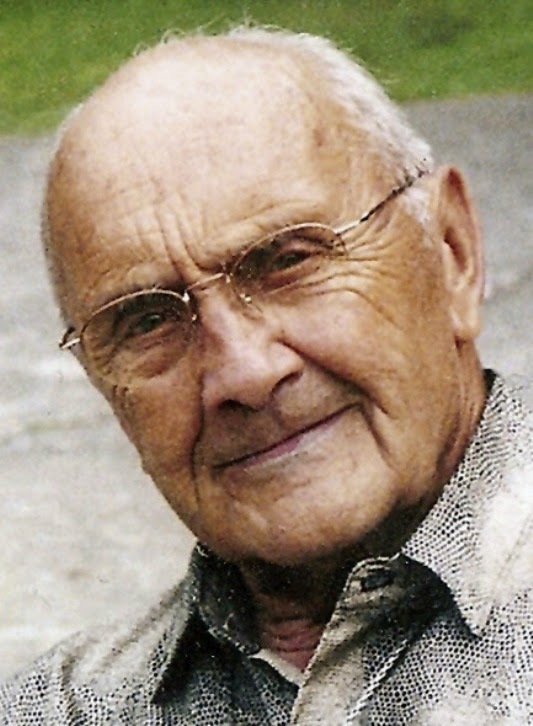 At the age of 14 he was sent along with his older brother Paul and Dr. John Bilinski, a traveling companion, to study at the Jesuit College in Vienna. At age 16, Stanislaus was struck with a very serious illness and was bedridden. He continued to get worse and what made this situation even worse is that Stanislaus had wanted very deeply to receive Holy Communion, but his Lutheran landlord named Kimburker, a Senator friend of his fathers, would not allow it in his house., because at that time anti-Catholic sentiment was high among the Lutherans in that area. As time progressed, Stanislaus felt as if he were dying, and he did not want to die without receiving Viaticum (Holy Communuion). He prayed fervently to his patron Saint, St Barbara, Virgin and Martyr, to obtain the grace of somehow being able to receive Holy Communion before he died. Later that night, he received a vision of his patron Saint Barbara, who appeared to him surrounded by a whole contingent of angels. 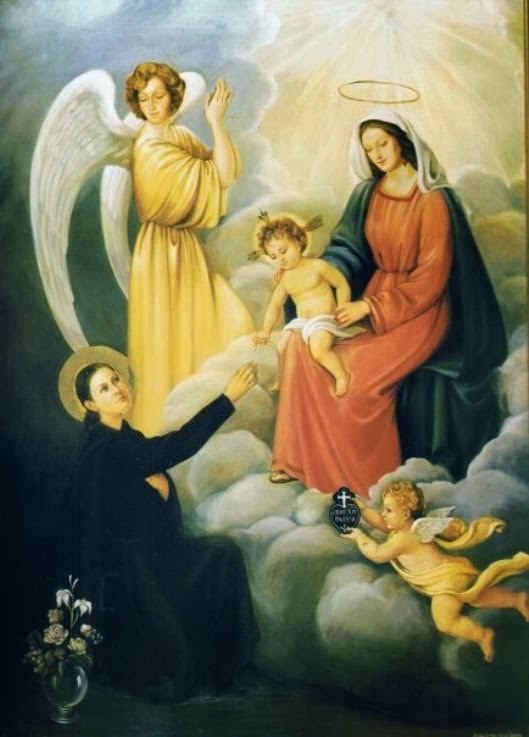 Right after receiving Holy Communion, he then had vision of the Blessed Virgin Mary and baby Jesus, and the Blessed Mother gave Her baby Jesus to Stanislaus to hold, and the Virgin Mary told Stanislaus that it was Jesus' will for him to become a Jesuit. When he came out of the ecstasy, he found that he was completely healed. 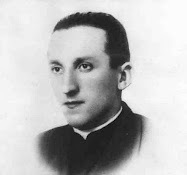 Upon his recovery, for the next few years he pursued his calling to become a Jesuit, and at age 17 he completed enough studies and preparation to be accepted into the Jesuit Order, and to demonstrate his determination, Stanislaus walked the 350 miles to Rome (which included crossing the Alps) and there the Jesuit superior general St. Francis Borgia accepted him as a Jesuit. On August 9, 1568, Stanislaus became very ill with a fever. 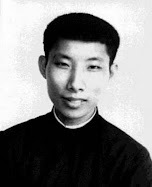 To those around him he predicted he would soon die, and he then wrote a letter to the Virgin Mary asking that he be in heaven on the feast day of her Assumption on Aug. 15, just six days away. And so it was that at age 18 his mission on this earth was completed, and Jesus and the Blessed Virgin Mary called Stanislaus to Themselves on the great Feast of the Assumption of the Blessed Virgin Mary, August 15, 1568. "On that blessed night the sweet infant Jesus, scarcely an hour old, filled the darkness of my soul with floods of light. By becoming weak and little for love of me, He made me strong and brave: He put His own weapons into my hands so that I went on from strength to strength, beginning, if I may say so, 'to run as a giant." This article is very appropriate for Christmastime. Thanks for posting! Nice to read about the baby Jesus right before Christmas. Thanks Glenn. A beautiful article. 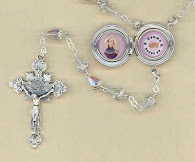 The picture of "St Anthony" and St Rose is most likely St Dominic and possibly St Catherine of Sienna. St Dominic wears black and white,the Dominican habit. I believe St Anthony would usually be depicted in brown. St Catherine also had the stigmata (thus the crown of thorns which she chose) and exchanged hearts with Jesus (thus the heart in her hand). In the picture of Our Lady of Pompeii St Rose was painted over with St Catherine of Sienna. Thanks Anonymous for the information about St Dominic and St Catherine of Siena--I just updated the caption beneath the photo to reflect this. Best wishes and may God bless you and your loved ones this Christmas and throughout the New Year! Just perfect Glenn. You rarely miss the mark, if ever on this site- thank you. What a great compilation of those who have experienced Our Lord as an infant. Perfect for Christmas as we take joy in celebrating the birth of Our Lord. this site is a true blessing! Thank you and may the Infant Child Jesus fill your heart with his Love for him this Christmas season! St Anthony of Padua: the text is repeated twice if you check it Glenn. Thanks for letting me know about the duplicate text....I just fixed it. 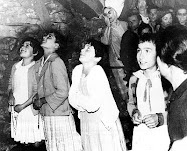 For those interested in a fairly recent occurence of visions of the Child Jesus I want to Point out a German Jesuit who worked in Brazil named Johann Baptist Reus S.J. 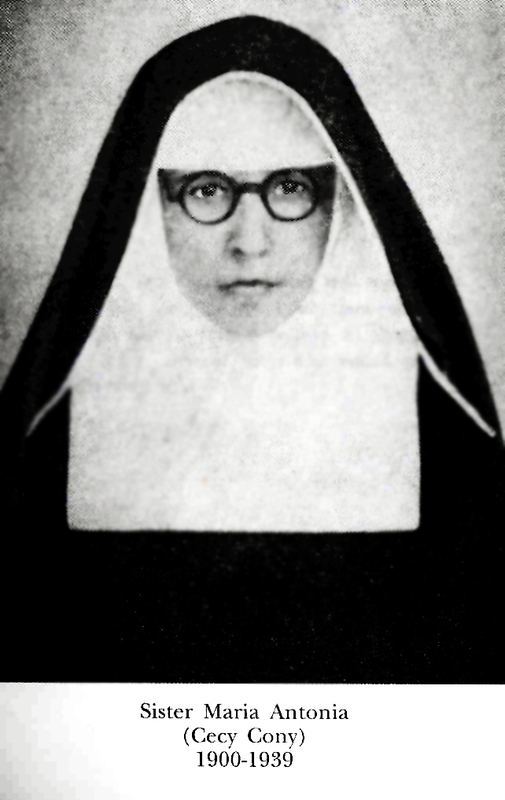 (1868 - 1947). In his reports he was ordered to write he included many cases of not only visions but physical "hugs" from the baby Jesus. Although outwards he appeard strict and was not understood by most of his fellow priests he received many graces from God. There is a biography in German with the title "An Apostle of the Sacred Heart of Jesus". On Christmas eve, someone I know received a gold pendent with Mary holding baby Jesus and a heart in her hand on his heart. The backside had 12/24/75. And initials c.j.k and her initial with j.k. does this event occur to those who love for Jesus is acknowledged and has anyone every received a mary and baby jesus as a physical gjft from divine circumstances. There is also a number of events that make me very curious any feedbac? Hi, Glenn - I was looking for information on Ven. 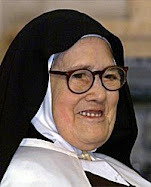 Margaret Parigot (of the Blessed Sacrament) and came upon your beautiful website. Thank you so much for your great work and apostolate. Happy Christmastide! Thank you for the information on Ven. 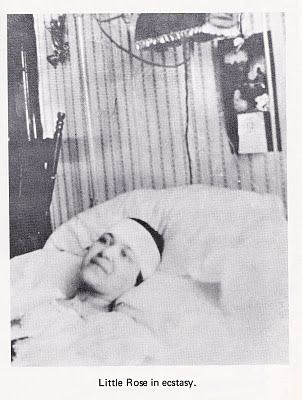 Margaret who was centuries ahead of St. Therese of Lisieux and had inspired her in her devotion to the Holy Child. 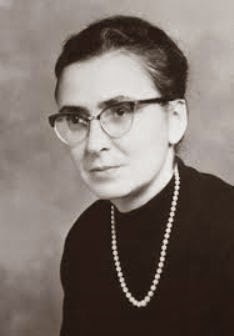 Thank you, too, for featuring the stigmatist Rose Ferron - I didn't know she, too, was a devotee of Our Lord the Child Jesus. 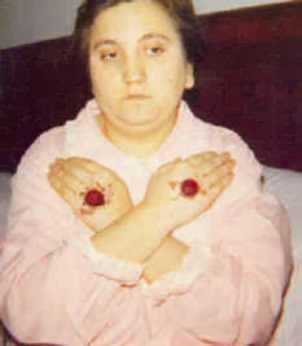 I wonder if you could also write something about Melanie Calvat, one of the two visionaries of Our Lady of LaSalette, who also had the privilege of seeing and communicating with the Holy Child most of her life. Thanks, Glenn. God bless you.